Update: Aeroplan and Air Canada are divorcing. 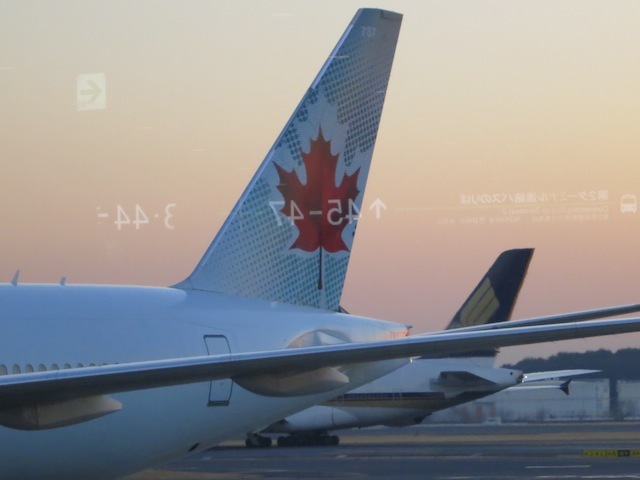 Air Canada will be launching its own air miles loyalty plan in 2020. So plan wisely with your points. So before you fly, read it here first: And thanks, Christa! May we all fly happily for free. 1) Christa, how you can have the best chances of scoring a business class ticket to Europe? Book ahead when you can – many flights are available up to 355 days in advance. Another tip would be to check out different airports close to your destination or, if you’ve got a flexible itinerary, different routings (for example, if you’re visiting France and then Spain try visiting Spain first and then France). 2) Is there any hope for last minute travellers (ie the organizationally challenged) to get an Aeroplan flight? More than 20 per cent of our members redeem their miles for trips two weeks before they travel. With that in mind, last year, Aeroplan introduced the Last-Minute Travel Tool which makes members’ search for last-minute travel easier by featuring destinations with attractive flight availability for travel within the next 14 days, showcasing many popular sun and North American destinations such as New York, Boston, Chicago, Bermuda and Tampa starting at Aeroplan’s ClassicFlight reward levels. 3) When do most flights come available? While most ClassicFlight Reward inventory is made available as soon as flights are available for booking (355 days from departure), additional seats come available periodically as the departure nears. This happens as a result of cancellations and adjustments to the airline’s schedule. Our ClassicFlight Rewards still guarantee 8% of Air Canada and Jazz capacity on every route, every month and with access to both economy and Business Class. Aeroplan also has access to 25 airlines through the Star Alliance network with more than 20,000 daily departures to over 1,000 destinations in more than 190 countries. 4) What’s better? An agent or booking on the Web? Our agents are excellent at finding the right itineraries for our members, especially when it comes to the more complicated trip with stop overs etc. At the same time we have recently improved our flight reward booking tool to improve members’ flight reward redemption experience. This gives members’ access to more destinations by improving the search capability and result visibility on aeroplan.com and in the Contact Centre, and by optimizing the Aeroplan airline partner network. The search tool can scan more partner networks and identify the best available options. Carol interrupting here. In my experience if you and your travel partner are each using your own points rather than a single person’s points to book a flight, go through an agent because it all gets very complex. You can only book one at a time and while you’re booking your flight your partner’s seat might get taken and it’s sayonara sweetheart! Of course that could make it an even better trip, depending on who ends up sitting next to you. Also, if you’re doing multiple stops on partner airlines, it can get complex and an agent might be better. Carol here, continuing to interrupt – hey, it’s my blog, I can talk if I want to. If you’re booking Classic Plus, the more expensive type of reward flight, it might pay to book online because the agent cannot tell exactly how many points it will cost until the flight is booked. And the points required can change with the wind. Yet if you book online, I think you can see what it will cost. Strange, but true. And now, back to Christa …. 5) How can you avoid the highest taxes and fees? Currently, many airlines apply surcharges to their tickets given the high cost of fuel and more and more airlines are now applying these same fuel surcharges to their frequent flyer program tickets. The fuel surcharge amounts are determined by each carrier and vary according to the cost of fuel, distance flown, and class of service. Fuel surcharges are subject to change as carriers continually review and make necessary adjustments. Carol interrupting here – oh, what else is new? It seems to make a huge difference which routing you fly through and which airlines you take. When looking at the various itineraries to Rome (and I looked at a gazillion) the taxes and fees price ranged from $498 to $664 per ticket! That’s a huge difference! We ended up paying about $600 each. 6) Christa, what’s new in Aeroplan world? Stay tuned! Aeroplan will be launching an improved online shopping experience that will make it easier for members to view and compare taxes and fees prior to booking. In addition, I wanted to let you know that Aeroplan recently introduced Destination Miles, a new service exclusive to Aeroplan Members and operated by its affiliate Destination Miles Booking Service Inc., that will allow members to use CASH to book hotel stays, car rentals and vacations package. So that’s it everyone. Reward mileage tips straight from the source. May the Aeroplan lottery be with you! Click to read about my aeroplan addiction. I just read that they’re not mis-priced, but that the taxes are calculated differently from regular flights so there appears to be a discrepancy. Hope that helps. Really hoping you might have an answer, and how common aeroplan mispricings can be? Wow. Seriously, Craig? I wish I had the answer. Next time I talk to the aeroplan peeps I’ll ask. Hi Nancy, I believe that you will still have all the first class perks – just not the actual seat. At least that’s what happened when I flew a mix of economy and business class. Enjoy your flight. We are booking through aeroplan a flight that costs us first points although the three parts are economy, then first, then business. If the first part is economy will this affect luggage allowances, check-in, and use of the lounge even though we have paid full first aeroplan point rates? UK or Europe is a great example. If your flight hoes through London Heathrow, surcharges through the roof! Example. I flew to Nottingham. Direct to Heathrow plus train was $622. Connecting at Heathrow was similar. Connecting in Dusseldorf was $250 and a shorter stop over to boot. Note I was flying from Toronto, and Pearson is among the worst for fees. I feel your pain, Stephen. I’m not sure if you’re flying using Aeroplan points or not – if you are, what I do suggest is to call the agent rather than book online. Sometimes if I look for a flight on the Aeroplan site it doesn’t seem to be available, but if I put in a different itinerary the flight exists as a connection. And – I speak from experience here – if you get an agent who isn’t able to help you it’s worth calling again. I’ve have agents who will go the extra mile trying to help while others aren’t as savvy. I’m trying to get a direct return flight to Roatan or the 2 other international airports in Honduras from Toronto but all flights seem to have at least 2 connections. I’ve connected before on short haul flights and I’d rather not waste a full day (or more!) for what shouldn’t be more than a 6 hour flight. You won’t necessarily get an automatic upgrade so check at the desk. I’m going through the same thing on my return flight from Thailand – my Hong Kong to Toronto portion is standby for Business. I’ll be pestering them at the desk. I have a business class ticket from Halifax to San Jose, Costa Rica. However, the only seat available from Halifax to Toronto is economy. Will I get upgraded automatically if a business class seat becomes available? Hi Diane, Have you tried Ryan Air? Not sure if they do that route. Also, check kayak.com for a range of airline prices. Good luck. trying to find the fastest and best price to get from Rome to Barcelona on Aug.10. Do you have an airline to recommend?